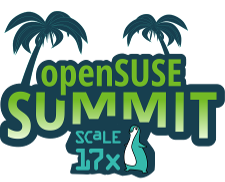 A big kudos to all our ambassadors who are working very hard to let the world know about openSUSE! They have been organizing events, speaking to people and writing about the awesomeness of openSUSE Project. Below are a few events that were openSUSE boosted in the last few days by our ambassadors. We probably still missed some as it can be hard to track everything that’s going on!